A Varsity investigation has found that some colleges are failing to adequately meet the dietary requirements of their students, with significant disparities between colleges in their provision of vegetarian, vegan, and halal meal options. Discussions with JCR officers, and combing through college websites, revealed differences in the quantity, the quality, and the prices of meal options. Of the 24 colleges for which adequate information was made available, only seven colleges provide halal meat at all or most meals, 21 colleges have vegetarian and vegan main dishes at every meal, and 10 colleges have vegetarian mains at every meal but vegan mains less frequently. In full Which colleges provide halal meat to their students? ‘Halal’ means ‘permissible’ in Arabic, referring in this context to food that has been prepared in accordance with Islamic dietary laws. Most commonly, this means food that has no pork, no alcohol, and that uses meat that has been sourced, slaughtered, and processed in a particular way. Only Churchill, Corpus Christi, Murray Edwards, Gonville & Caius, Robinson, St John’s, and Trinity provide halal meat at every or most meals. While halal meat can be specially requested at colleges besides the seven listed above, only these provide it by default. “They put a sign up next to options that contain alcohol, and if you’re ever in doubt about something [...] you can just ask the staff and they check for you,” she added. Besides halal options, colleges also display a significant disparity in their provision of vegan and vegetarian food. In full How well are Cambridge's colleges catering to their vegan students? 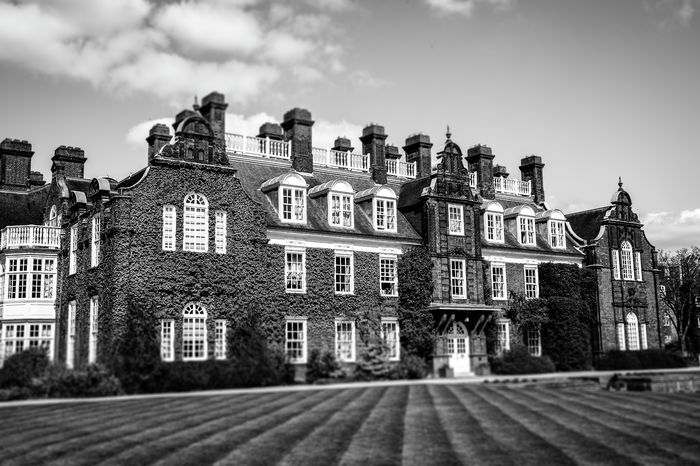 Varsity found that Clare Hall, Corpus Christi, Darwin, Downing, King’s, Magdalene, Queens’, Selwyn, St John’s, and Trinity fail to provide vegan main dishes at every meal. While Varsity found that these colleges often provide salad bars or vegan sides like jacket potatoes, they do not always provide full vegan mains. Some of them, like King’s and Magdalene, appear to have vegan mains most but not all the time, while others are less accommodating. Darwin, for example, only has vegan mains at every other meal. Corpus Christi has a reduced menu while the college undergoes a kitchen refurbishment that is expected to be finished at the end of this calendar year. A representative of Trinity College told Varsity that Trinity provides vegan main dishes only at lunch, but vegan grab and go items are available at the college bar and vegan meals can be requested at formal halls. He added: “We have worked very hard over the last year with our students and fellows to meet all their catering requirements, in particular vegan and vegetarian offers.” He also detailed a number of vegan alternatives to main dishes, including sandwiches and soups, and mentioned that vegan main dishes have been provided more frequently since 25 June. “I can request something and it will be ready in ten minutes. In those ten minutes, I must admit that the cooks have made wonders”. The difference in quality between vegan, vegetarian, and meat options can be especially frustrating depending on how colleges price their meals. Vegan and vegetarian options are cheaper than meat options at many colleges, potentially reflecting lower preparation costs. Many colleges, on the other hand, price all of their meals equally. Anna Hollingsworth, a student at St John’s, also expressed frustration at the variety and quality of vegan options. She said that they could be confusingly labelled in the St John’s buttery, citing an example of a vegan curry that was labelled as containing dairy because it came with a buttered bread roll. She also criticized the quality of vegan dishes at formals, saying that they can be a “slap in the face.” She recounted one occasion when a side of buttered vegetables was replaced with plain boiled carrots, commenting that “it’s not that hard to make vegan vegetables”.